Elderberry wine in Fort Smith, AR. Happy Hour Wine & Spirits offers the best wine in Fort Smith, Arkansas. Also choose from our selection of our cheap beer prices, liquor & spirits. Come visit the best wine store in Fort Smith, Arkansas, Happy Hour Wine & Spirits. The 2013 Purple Heart has aromas of mulberries, plums, & blackberries with hints of black licorice. Fish Eye Moscato has the flavor of juicy peach and pineapple with hints of honey on the nose. Here at Happy Hour Wine & Spirits we offer a wide variety of wines including wines from our local vineyards. Mount Bethel Winery is a family owned and operated business that has been handed down for generations. The Post family has a long history in wine making and currently, all 8 of the children of Eugene Post help him operate the winery and vineyards. You can see all of them working because the Post tradition is that all members of the family are active members of the winery. 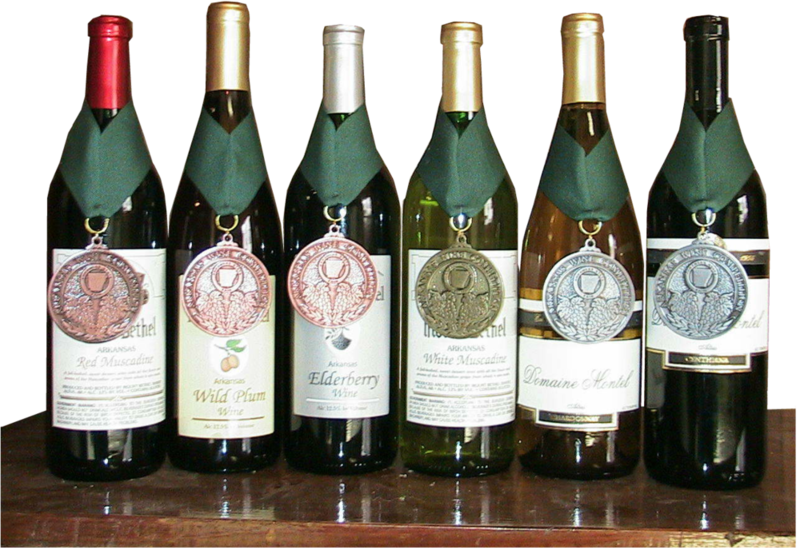 Mount Bethel Winery produces a wide variety of wines made from our vineyards located in Altus, Arkansas. We have some of the more classic wines such as Merlot, Cabernet and Chardonnay. We also have some varieties that are native to America such as Cynthiana (sometimes known as Norton), Muscat, Niagara, Concord, and Muscadine. We produce a full range of fruit wines including Blueberry, Strawberry, Blackberry, Elderberry, and Wild Plum. And for those who love Port wine we believe we have some of the finest.